We continue to gun down Ewoks in the dozens as we swoop into the hangar of Star Wars: Battlefront II, the title that many point to as the defining game in the series. 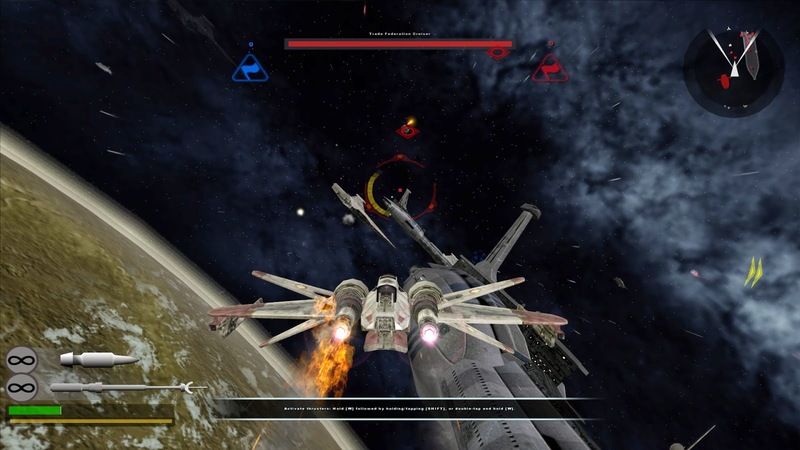 Battlefront II introduced space into the gameplay mix, playable heroes, and featured a more flavoursome campaign than its predecessor. 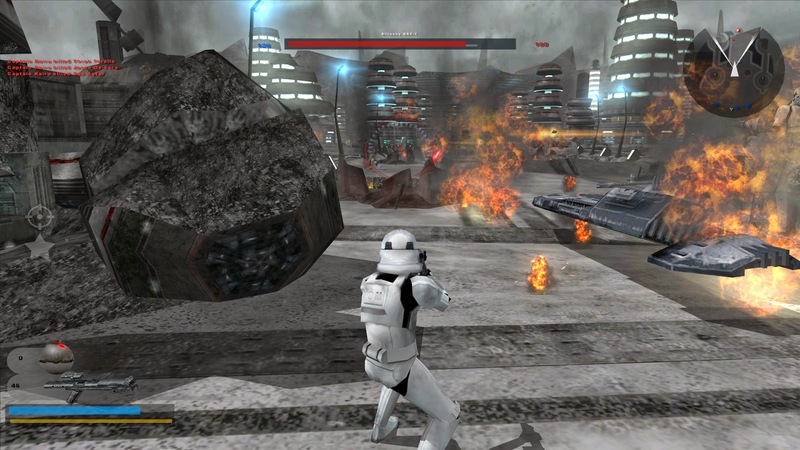 While the first Battlefront retells battles from the movies, Episodes I, II, IV, V, and VI, Battlefront II is largely focused on the events of Episode III, Revenge of the Sith, that was being released on DVD around the time the game launched. The campaign tells the story of the 501st Legion, an Elite force of Fett Clones who just happen to be present during pretty much every pivotal conflict in both, the Clone Wars and the later Galactic Civil War. Having the events of the two wars told from the perspective of a soldier who fought in them is a neat angle, but what really makes the Battlefront II campaign stand out is the more unique missions. Battlefront II’s missions feel a lot more diverse than those of Battlefront (I), boasting more varied objectives that better suit the narrative. For me, the standout missions are those centered around the transition of the Republic into the Empire, kicking off with Operation: Knightfall. During the Knightfall mission, the 501st breaches the Jedi temple on Coruscant; it is a slaughter. As combatants Jedi operate quite differently than the usual Droid fodder, they are fast, melee focused characters that are able to deflect blaster fire, though not quite as well as the heroes from the first Battlefront admittedly. Battles like the clone uprising on Kamino and the attack on the Palace of Naboo also occur around this point in the timeline, and are more interesting from a storytelling perspective, because the events simply aren’t explored in the movies, nor other games. The gameplay of Battlefront II is an iterative step over the original, the classes remain largely the same with one more added to each faction; the Clone Commander, MangaGuard, Imperial Officer, and Bothan Spy. These soldiers offer perhaps the most divergent abilities, for example; the Clone Commander can rally nearby soldiers, while the Bothan Spy can activate a personal cloaking field. The sprint (and stamina meter) is a hugely welcome addition, making battlefield traversal much faster. 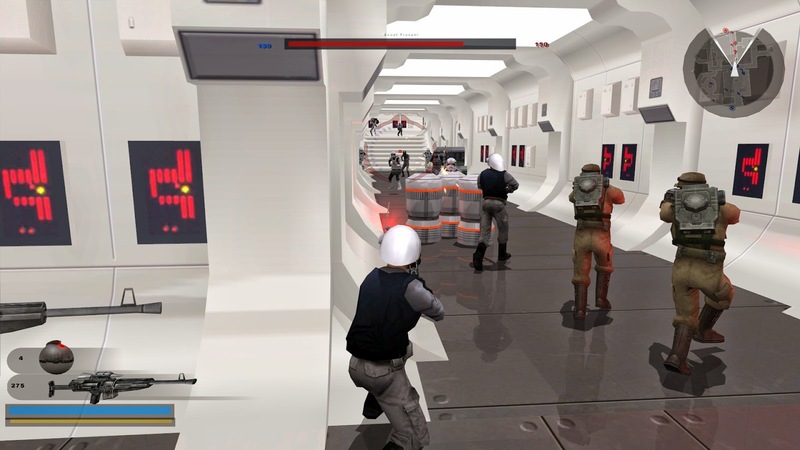 The heroes and villains that were present as non-playable characters in the original, are made playable in II, effectively becoming lightsaber-wielding killstreak rewards. Though there are non-force using characters like Jango Fett, and his infamous son Boba. Space battles are perhaps the biggest feature to be added to the Battlefront formula in II. Rather than capturing bases, two capital ships face off above a planet, it’s the job of the pilots and marines to target and destroy the hardpoints and critical systems on the opposing forces’ ship. Dogfights between the fighters and the more nimble interceptors litter the void between the two ships as bombers try to bring their payload to bear against the enemy hulls. I enjoy the novelty of these fights, but there are no meaningful differences between the half a dozen space maps. Because its space. This usually leads me to boarding the enemy ship; flying into the enemy hangar with a marine-filled gunship and wreaking havoc from the inside instead. 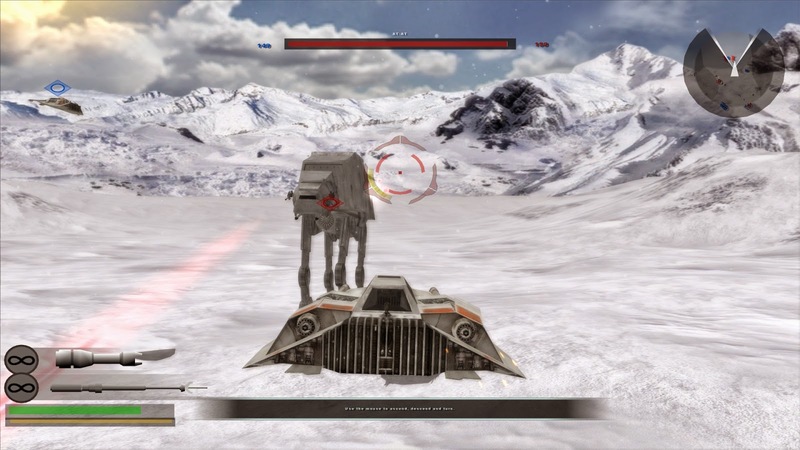 In addition to space battles, Battlefront offers several gamemodes, some more adventurous than others. These include the rather mundane Capture The Flag (1 and 2 flag), a Hero only mode, and the asymmetric Hunt mode, that sees indigenous creatures, like Wampas, square off against the human interlopers. Unfortunately, only PC players can experience the XL mode, which hugely boosts the number of combatants in the field, though this is only playable on the larger maps; Geonosis, Hoth, and Kashyyyk. Battlefront II did away with the two-maps per planet approach and instead supplies a greater selection of planets, many of those that appeared in Episode III, including; Felucia, Mygeeto, and Utapau. However, a sizeable number of the maps are reused from the original game, though these are the maps more closely linked to the other movies, like Endor and Hoth. Sadly the vaunted ice caves of Rhen Var never made the cut. Star Wars: Battlefront II holds up better than Battlefront certainly, and not just graphically, though the 16:9 aspect ratio is appreciated and the game still looks pretty sharp. The gameplay complexity of II is more engaging; simply having sprint is a bigger deal than one might first think. Space battles, while easily the most repetitive part of the game are a lot of fun, and the other gamemodes can at least provide a distraction from the repetition.